Book your tours & activities online for the top destination, Mandalay is the second largest city and the last royal capital in northern Myanmar (Burma) on the Irrawaddy River. In its center is the restored Mandalay Palace from the Konbaung Dynasty, surrounded by a moat. King Mindon of the Konbaung Dynasty, who reigned from 1853 to 1878, created this capital out of the wild woodlands at the foot of Mandalay Hill. King Mindon was a deeply religious monarch who made Mandalay and the neighbouring town of Sagaing important centres of Buddhism, with many great pagodas and hundreds of beautiful monasteries and nunneries. With its royal palace and impressive moat sitting at the foot of a high, pagoda-topped hill, Mandalay still evokes images of a romantic, bygone era. 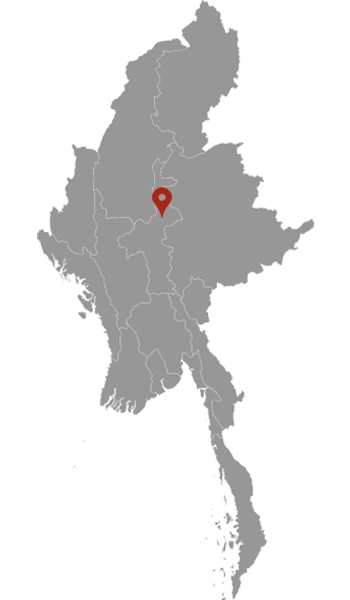 It remains the principal cultural and economic city of upper Myanmar. Located on the banks of the Ayeyarwady River, Mandalay also lies within easy striking distance of former colonial hill stations, ancient cities and other cultural attractions. From Yangon to the Shan State via Bagan and Mandalay, our route will gradually reveal the aesthetic heritage and the extreme diversity of the Burmese dynasties’ traditions and popular expressions.